I’ve been nominated for a Liebster Award. Don’t worry Mom, it’s better than it sounds. In fact, it’s something quite wonderful. 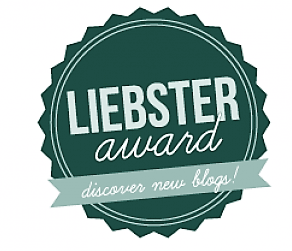 The Liebster (from the German word for dear, beloved or sweetheart) Award is an award given to bloggers by bloggers. It’s a pay-it-forward-way to encourage fellow writers to keep writing. Given to bloggers with less than 200 followers (Boy can I meet that threshold!) the award’s origins are clouded in mystery. To receive the award you must answer your nominator’s questions on your blog and then nominate three bloggers to receive the award. 1. Why did you decide to start your blog, and what is the emphasis of your blog? Two reasons: I wanted to use my blog to encourage me to write about my family research, to put my research in a form my family and others could enjoy. Secondly, I was so new to genealogy and making so many mistakes that I hope to write some research tips to save other new family historians some time, trouble and money. I focus on the four main lines of my parents’ parents and all the offshoots of these four people. I also throw in tips for other family historians. The one I’m writing NOW about my great-grandfather’s death. I hope to post the first installment in a few of days. This is actually a hard question because I get excited about most things I decide to write. I suppose “Happy Trails” was as enjoyable to me as anything I’ve written to date. 3. What goals do you have for your blog in the next year? Like most bloggers, I would like more consistancy. I want to research better and write better. I want to publish at least twice each week. I want to know my blog is helpful and entertaining. 4. How long have you been interested in your family history? I’ve always had an insatiable curiosity, which at time has gotten me into trouble. I’ve also enjoyed history and love the large nuclear family God gave us. I suppose all of this comes together to “create” a family historian. But honestly, it’s only been a little more than three years that I’ve taken a real interest in documenting our family’s past. I think my age may have something to do with that! I wish I had started earlier. I wish I had asked more questions, sooner. I’m happy I can do it now. 5. What do you enjoy most about blogging/writing? Two things: it forces me to put into words and on “paper” the things I’m learning. And, it allows me to leave behind something for my children and grandchildren. 6. List a few of your favorite blogs. 7. If you could choose any vacation destination, where would you go, and why? When I find the origin the first Roberts in my family line to imigrate to America, I would like to go there. And/or any place my wife wants to go is fine with me! Good answer! My nominations for the Liebster Award Are…. Each of these nominees easily exceeds anything I have accomplished and are worthy of your consideration. Should they choose to accept my nomination, they will need to post their answers to the following questions and nominate three other bloggers for the award. What are your top two motivations for blogging? Describe your early attempts at blogging? Describe your immediate family and share how, if in any way, they influence your blogging? What is the favorite blog you’ve written and please share a link to it? Describe how your research and blogging influence each other. If you had only one thing to say to your readers, what would it be? I look forward to reading my nominees’ responses. Congratulations! Previous PostPrevious Is DNA a genealogical miracle?